Enjoying these long summer days on your own furnished balcony, who would not want that? You enjoy your balcony to the fullest if you have fun and cozy furnishings. This week we will give you 5 tips and a good dose of inspiration on how to make your balcony "summer-proof" and decorate it as cozy as possible! 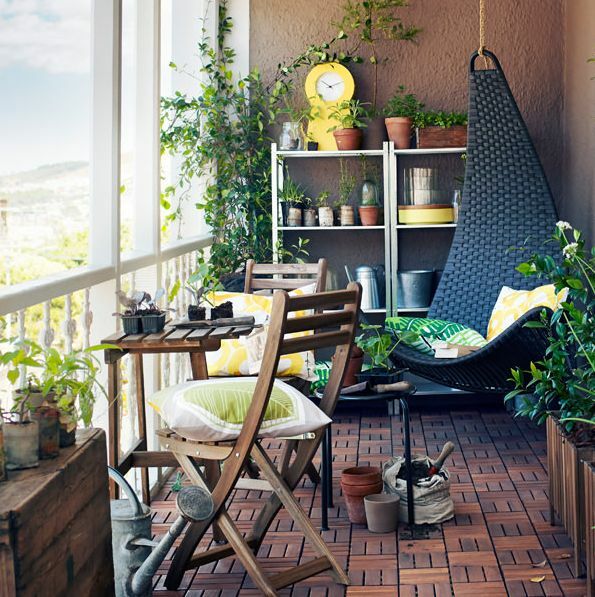 First things first: the most important thing on your balcony is of course a nice and comfortable seating area. Do not you really have a very large balcony? Choose stackable chairs, this way you can save a lot of space when you are not using the chairs. Do you prefer a bench on your balcony? You can easily (and cheaply!) Build one with a few pallets to create a nice and comfortable bench on your balcony. This takes up little space and also looks mega stylish! Rugs and carpets with different textures and colours are your new best friend. Not only are they stylish and decorative, but they’ll cover up your balconies cold concrete and make you feel warmer. This is a great way to bring your inside, outside in a cool and comfy way. Also a balcony can use some mood lighting during warm summer evenings! Of course you can put candles everywhere, but that can sometimes be quite impractical. Nowadays there are countless beautiful outdoor lighting options, such as a nice cord with nice lights on it. They come in countless colors and designs, such as with nice flamingos or colored lights, and are often waterproof. The perfect solution to easily create some atmosphere on your balcony! Transforming a balcony or terrace into summer spheres starts with choosing the right plants. There are plenty of summery bloomers that stand nicely in a pot and are an added value for your balcony or terrace! Vertical gardening is a trend that you have probably heard of. 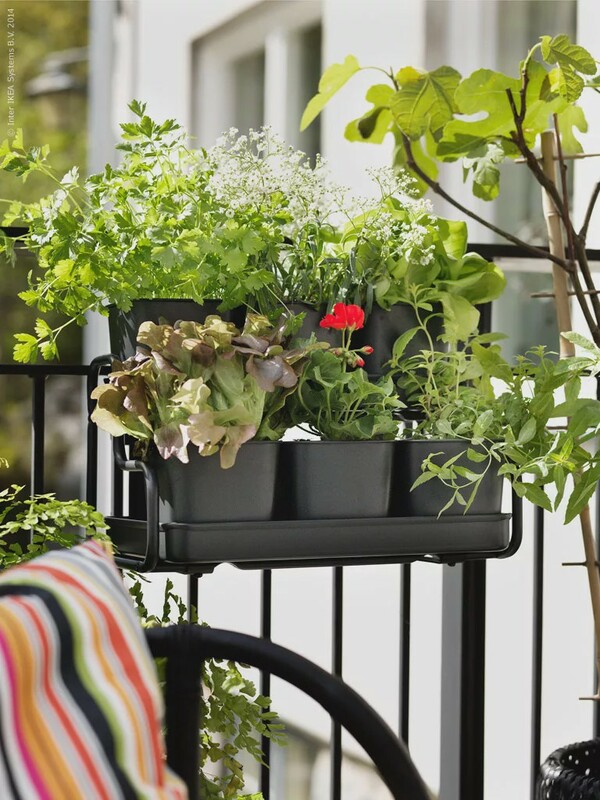 It has several advantages to apply this creative form of gardening on your balcony or terrace. One of the most common reasons for gardening vertically is lack of space. In addition, an additional advantage with this form of gardening is that it works sound-absorbing. Another reason for gardening vertically is to hide that ugly wall or fence on your balcony or terrace! 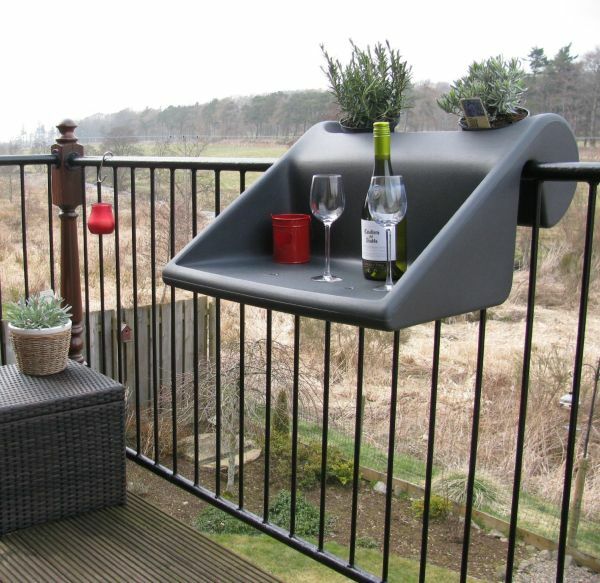 Of course you finish your balcony with accessories to your own liking. If we may give you one tip: Play with glass bottles, this not only gives a playful effect, but also looks amazing! You can dress up your bistro set or balcony bench, no matter how small, with a nice blanket and some pillows. Lanterns for decoration are always fun and can be combined nicely in various sizes and colors. With the use of tea lights and candles you really give your balcony a romantic touch. Lovely to light some candles on a sultry summer evening! Tea lights are the most convenient for the wind. You can also hang lampions or tea lights on the ceiling for an atmospheric effect. Anything that can withstand bad weather is usable on your balcony!